Please go to this page to see all the sorting worksheets for kindergarten. Tigers and cookies and grapes, oh, my! 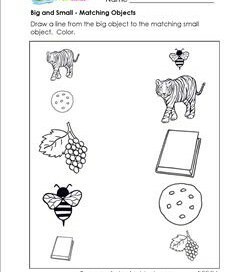 In this big and small worksheet children draw a line from the big object to the matching small object and color. 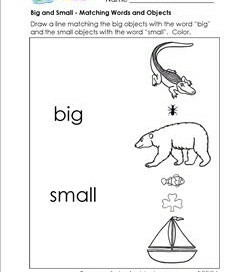 In this big and small worksheet kids draw a line matching the big objects with the word “big” and the small objects with the word “small”. Color. Take a look at these ocean creatures under the sea! 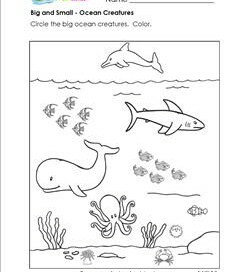 Circle only the the big ocean creatures in this big and small worksheet. Color all the creatures.